In the life of traders happen unforeseen situations and emergencies when, for example, the mechanism of the cash register fails and shows wrong time. If a faulty cash register with an error in time at least 5 minutes will be given a check, then by law the owner of the cash register will be fined. So better intime to fix all the problems. So, in order to enter the correct time and date, you need to enter the "administrator" on the cash machine. Click on the keyboard symbol H. the display will show the field to enter the current date. Clear the format - DD MM YY. It can't be changed. Otherwise the machine will not accept your request. To check, click PI. Provided that the date entered is right, it should pop up a window for the introduction of the current time. The format is standard - HH MM. When you enter again, press PI. Note that neither time, nor the date of transfer back into a cash machine anymore, assuming that was punched at least one check in this new change. If it so happened that the date on the cash machine has gone far ahead, the urgent need to replace the entire fiscal memory. Work on this unit anymore. Otherwise it would mean problems with the law and the inevitable financial penalty. It would be good to understand the concept of fiscal memory. It is for each cash register any brand. It is a system of software tools that ensures his work in real time without the required daily correction. Fiscal memory allows you to see you on the check price in addition to the time and place of purchase, name of the organization and its registration number. 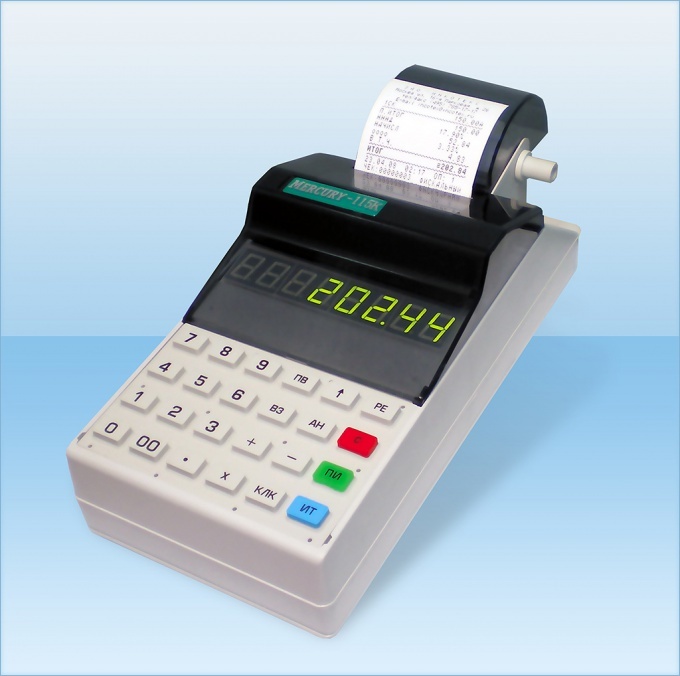 Fiscal memory is filled by the representative of the organization that purchased the cash register, and put automatic fiscal regime is already on the registration tax. From this point you can start counting the life of the cash register.